I'm an experienced iOS developer - I've built apps for consumers, wearables, and home automation, and I'm top 7% on StackOverflow. Check out some of my apps below. 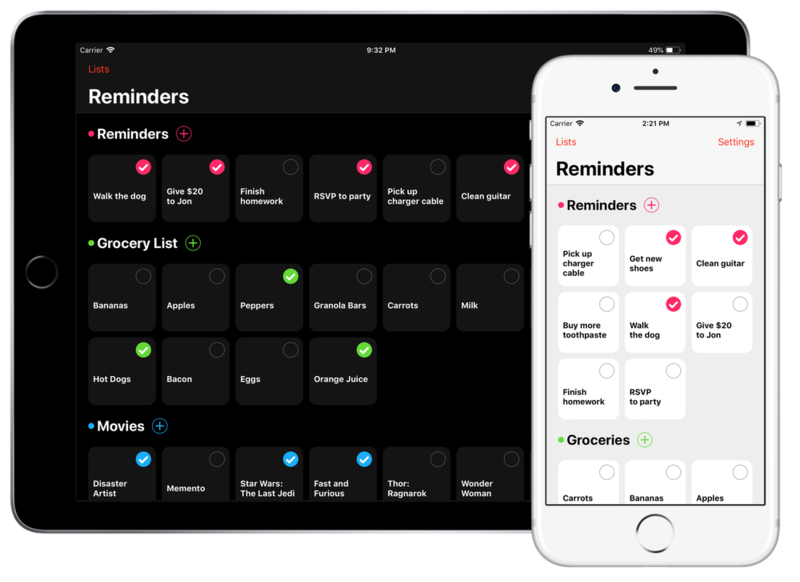 Memento replaces Apple's native app with a more modern interface. Quickly create multiple reminders in a few taps, add location and time alerts, and get a birds eye view in one place. Play cards against your friends over Bluetooth or WiFi! Stack takes advantage of iOS' multipeer framework to connect you to your friends quickly and easily. A slick speedometer that can also give you stats about your drive. 1/4 mile, 1/2 mile, and 0-100 times are calculated automatically, making velocimeter the perfect companion at the track. Use dash mode to get a futuristic speedometer on your car's windshield. Dot is a new way to visualize your music collection. Your music is laid out in a grid, represented by the album art. Tapping a song will begin playing the song. An easy way to keep score when playing against your friends. To make game night complete, mirror your phone to your Apple TV to provide the ultimate scoreboard. Then, create a single elimination bracket to decide the real winner. Tock is a stylish analog clock app. The hands are extruded back in time towards 12:00, creating a modern take on a classic. The clock face changes depending on the time of day.